Home News MXGP injury report! It has been an unfortunate start to the season for MXGP riders, fans and organisers. From Cairoli breaking his ribs practicing, to Desalle breaking his wrist in France on Sunday and all the other injured riders in-between, the GP field is already depleted and some riders will be riding in pain at Qatar in under two weeks. Here is a list of the current injuries for the GP field. Ken DeDycker – Broken leg. Ken De Dycker has broken his femur just six days before the start of the season. The length of the lay-off or whether the team will get a replacement is still not clear. Clement Desalle – Broken wrist and likely out until at least round three. 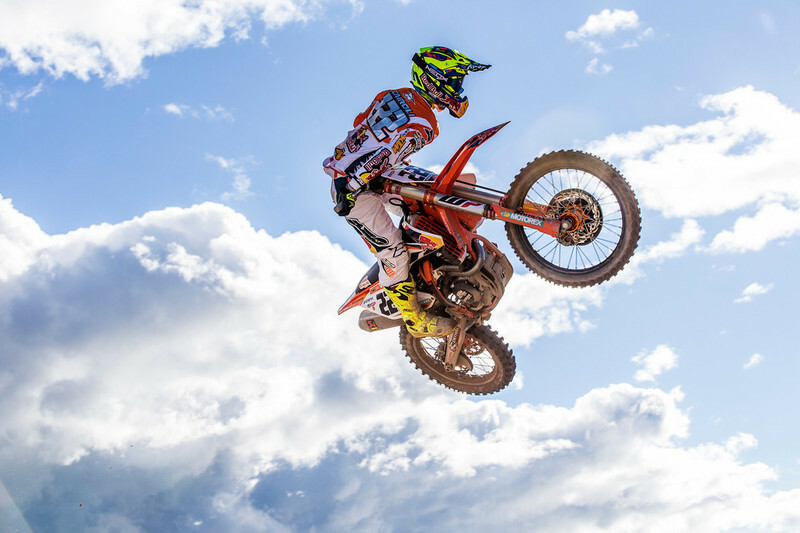 Antonio Cairoli – Broken ribs but should be able to compete at Qatar although unlikely to be 100%. Romain Febvre – A second turn pile-up at the Italian championship a week ago meant Febvre couldn’t race last weekend after getting stitches in his elbow but like Cairoli, should be able to race at Qatar. Rui Goncalves – Rui was also involved in the pile-up Febvre found himself in but came off even worse and almost lost his finger. Surgery saved the digit but it is unknown if the Portuguese will race at Qatar. Jordi Tixier – Unfortunately for Kawasaki, Tixier’s broken wrist from last season still isn’t healed and the Frenchman needs another operation, ruling him out of the first two Grand Prix. Ben Townley – The Kiwi got taken out by Herlings in the superfinal resulting in an injured knee and forcing BT to pull out of the race. The extent of the injury is currently unknown and let’s hope often injured Townley can race at Qatar relatively healthy. Pauls Jonass – The factory KTM man is struggling with a thumb injury and hasn’t been able to compete in any of the pre-season races. He is hopeful of making Qatar but how fit and pain-free he will be remains to be seen. Thomas Covington – The American was running in third at Valence in the first moto when his back locked up and is now in a race to fit for Qatar. Julien Lieber Lieber is still struggling with his hip and didn’t race last week in Valence, his return date is unknown. Brent Van doninck – An inflamed tendon has meant Brent hasn’t ridden any pre-season races but he does hope to make it to Qatar even if he won’t be 100%. Brian Hsu The young MX2 Suzuki factory rider broke his wrist in an off-season supercross event but hopes to be back by round three in Valkenswaard. With one more pre-season race scheduled for next weekend in France, let’s hope no-one else pick up a serious or even niggling injury before the season begins in Qatar on the 27th Feb!